remove the drop ceilings and restore the original light fixtures. Exterior painting – we are almost complete – about 1 good day’s worth of painting will wrap up the 2nd coat. Thank you to Harold Christensen for the use of his scaffold – without it – this project would be extremely difficult. Thank you Terry & Geraldine Potter for underwriting all the paint expense. Thank you Lois Scott & MJ Wagenson for supplying all the painting supplies. Bell Tower Repaired & Bell Cleaned – Thank you to Dan Dicklich for his time and talents in repairing the bell tower ceiling, cleaning all the bird poop off the bell, oiling the bell, putting a new rope on the bell, repairing the trim on and painting the tower. Broken window repaired – Thank you to Terry & Geraldine Potter for transporting the window to Mauston for repair & for underwriting the glass replacement expense. Broken pipe in restroom – Thank you Carl Lovegreen & MJ Wagenson for repairing the leak. MJ Wagenson underwrote the expense. Basement – Installation of a dehumidifier has kept the basement dry and has eliminated the musty smell. thank you Lois Scott for donating the dehumidifier. Chimney Tuck Pointed – Thank You Terry & Geraldine Potter for securing a craftsman and underwriting the materials. 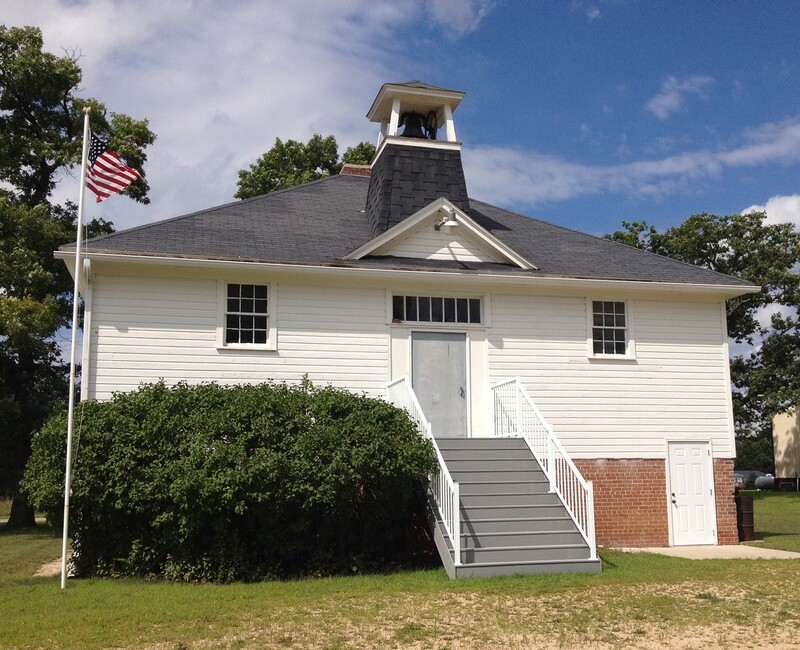 The Friends of Lone Rock School paid for the labor. Furnace Repair – Thank you Marion Christensen for securing the labor and for underwriting this expense. Without a furnace, the Christmas program would be a chilly endeavor. Below are before and after photos of the chimney tuck pointing and belfry repairs. This entry was posted in Project Updates on October 20, 2013 by mike.